Jarrett Kaplan, a rising senior at Grissom High School in Huntsville, is representing the United States at the European Maccabi Games in Berlin. 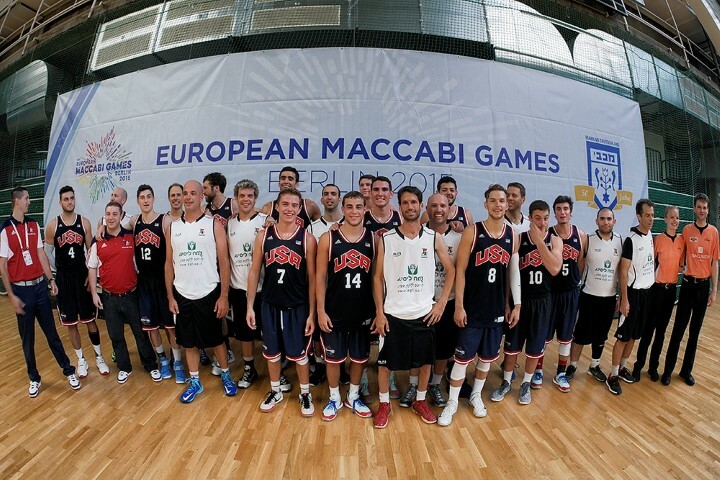 The 14th European Maccabi Games are scheduled for July 27 to Aug. 5. The 2011 Games were held in Vienna and were said to be the largest Jewish gathering there since the Holocaust. In 2012, Kaplan was part of the Birmingham team in the JCC Maccabi Games in Memphis. That team won the first-ever gold medal in basketball for Birmingham’s Levite Jewish Community Center. His father, Jim Kaplan, said JJ’s first word was “ball” and he was playing with a basketball hoop as soon as he could stand. He started playing rec basketball at age 6 at the Y, and AAU ball at age 10. Kaplan said his natural talent is for baseball, but his passion is for basketball, which he wants to pursue to the professional level. He is also playing AAU basketball this summer, and the U.S. team was scheduled to have five days of practice in New York before heading to Europe. The college recruitment process has started and some schools have already expressed interest.